Snow Storm-Steam-Boat off a Harbour's Mouth. JMW Turner. 1842. Oil on canvas. 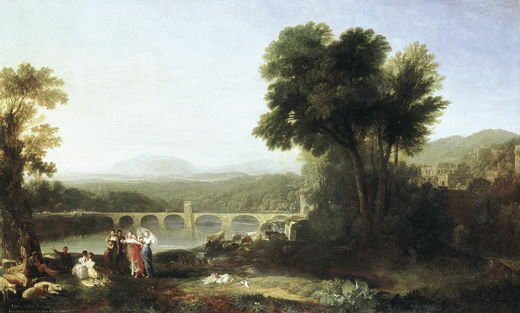 MADRID.- Having already been seen in London and Paris, Turner and the Masters will now be shown at the Museo del Prado in Madrid. 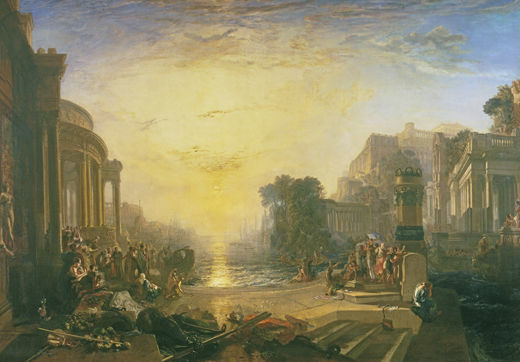 Its aim is to reveal to visitors the extent of Turner’s links with other historically important artists and the profoundly original way in which he assimilated their influence. 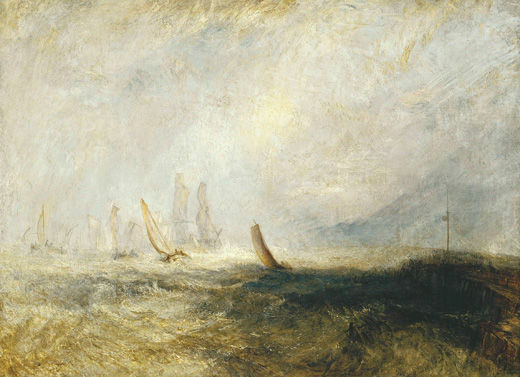 This comparison will assist in an understanding of how Turner’s approach to and assimilation of other artists was intended not just as an homage to them but also involved a subtle and highly original type of transformation of their teachings. 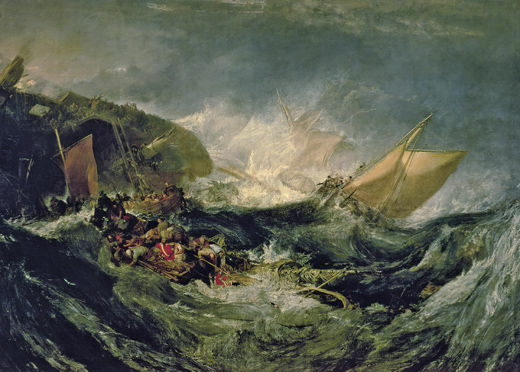 Among the differences between this version of the exhibition and those already seen are the presence of a number of paintings not shown in London or Paris, including Shipwreck of a Cargo Boat, Snowstorm: Hannibal and his Army crossing the Alps, Peace. 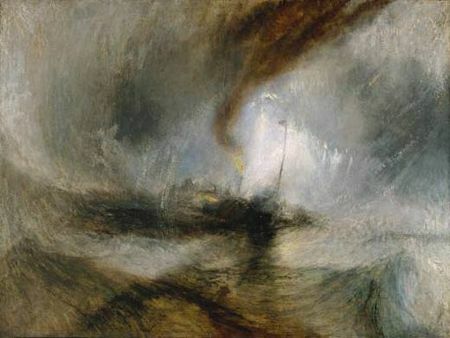 Burial at Sea, Shade and Darkness: evening of the Deluge, and Light and Colour (Goethe’s Theory): the morning after the Deluge, all absolute masterpieces by Turner. Girl at the Window by Rembrandt, Les Plaisirs du Bal by Watteau, both loaned from Dulwich Picture Gallery, London, and the latter only shown at the Prado, as are the major canvases by Claude Lorraine and Rubens, Port Scene with the Embarkation of Saint Ursula (London, National Gallery), and Landscape with a Cart at Dusk (Rotterdam, Museum Boijmans van Beuningen). 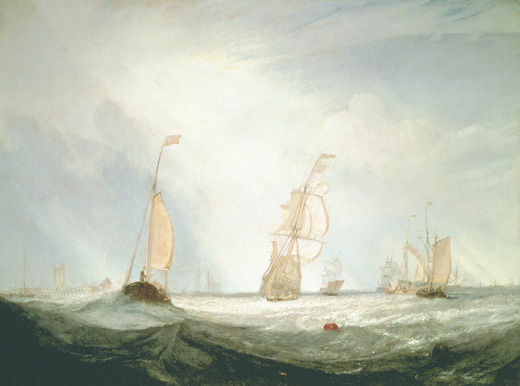 Also on display solely in the version of the exhibition at the Prado is An English Ship in a north-west Gale trying to beat windward (National Maritime Museum, Greenwich, London) by the 17th-century, English-based Dutch painter Willem van de Velde the Younger. During the 19th century Turner was one of the key figures within the modernisation of landscape painting due to the extremely innovative nature of his ideas. The foundations of his approach undoubtedly rest on the profound study of the work of the Old Masters that he undertook. 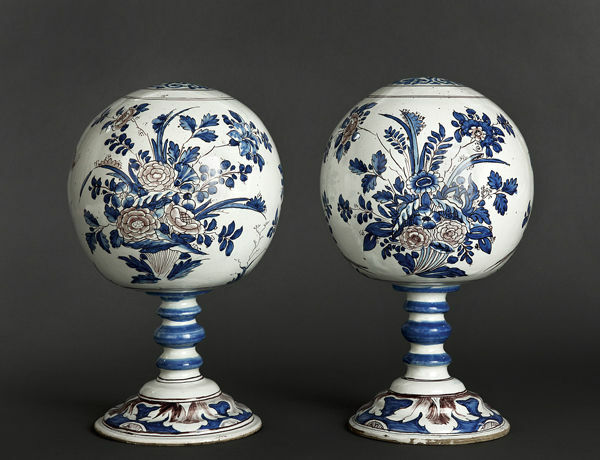 From the outset of his career the artist was aware that to possess a truly broad formation required a knowledge both of the work of the great masters of the past and of the art of his own time. 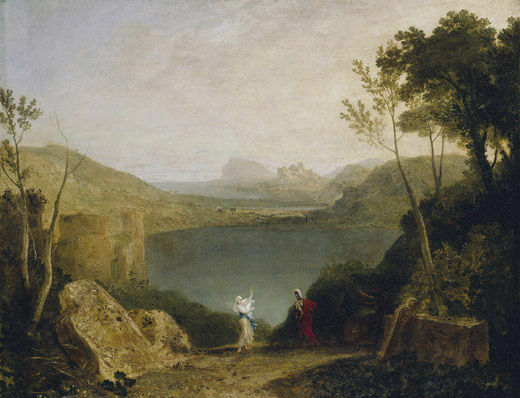 Within the development of his own style, an extremely important role was played by 16th-century Venetian painting (Titian, Veronese) and, above all, French classical landscape painting (Claude, Poussin), whose models the artist closely followed. 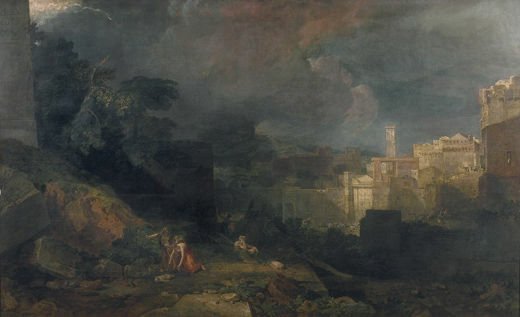 In addition to this dual tradition, which was highly appreciated in English academic art circles, he added the influence of northern painting, both the Dutch school (Rembrandt and Ruisdael, among others), and Flemish art (Rubens, Teniers), as well as Watteau and the work of other British painters closer to his own day, such as Gainsborough and Wilkie. 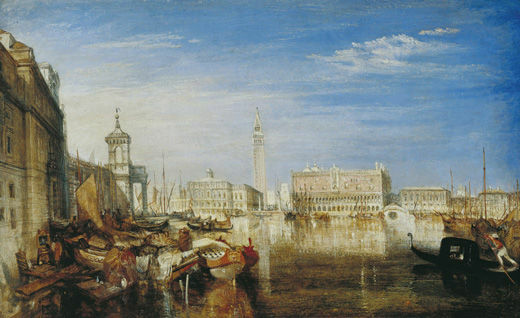 Turner’s interest in Old Master painting led him to pay explicit homage to some of the most important artists of the past, including Raphael, Ruisdael, Watteau and Canaletto, introducing their themes and motifs into his work or making them the actual subjects of his paintings. Throughout Turner’s career the issue of comparison and competition with the British artists of his time is an important one. Their works hung together at the Royal Academy exhibitions, and this confrontation was particularly significant with regard to another great British painter, John Constable. 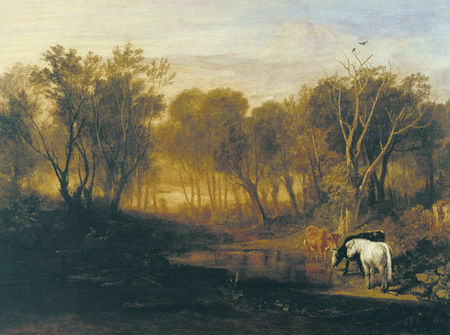 Towards the end of his career Turner executed works that can be seen as re-thinkings and profound reconsiderations of his entire career, filtered through the dual influence of classical landscape (Claude) and Dutch naturalism (Ruisdael), and resulting in work of a remarkable intensity that led to an authentic transformation of the art of landscape. The works by other painters to be seen in the exhibition include some particularly outstanding masterpieces that have never previously been exhibited in Spain. 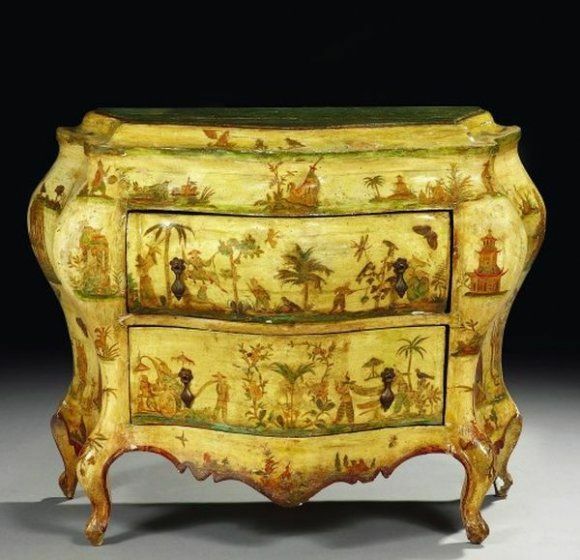 COMMODE VÉNITIENNE DU MIIIEU DU XVIIIÈME SIÈCLE.